YouTube Live Events Streaming is a great feature and if properly used, it is definitely a tool that works from various point of view. Here is the basics. Previously, we talked about various tips and tricks on YouTube. But, this is the first article on YouTube Live Events Streaming itself. Quite obviously, a real time performance, a real time interactive event for example are perfect candidate for YouTube Live Events Streaming. 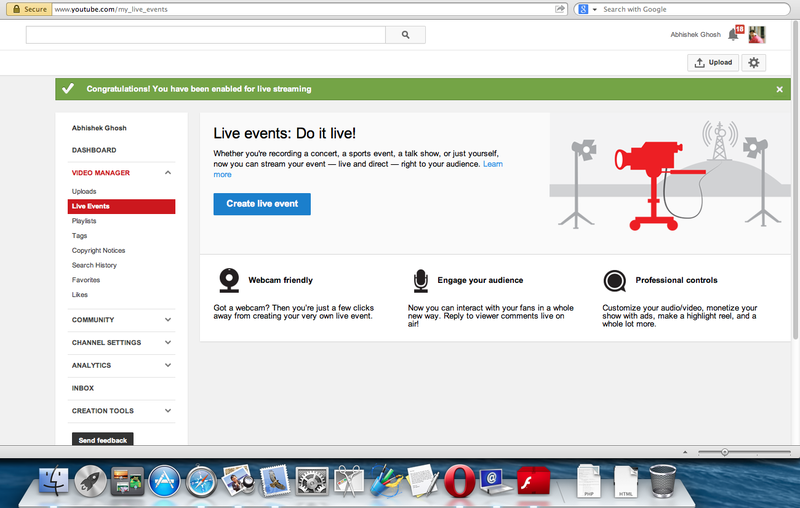 A simple guide is more suitable for plain YouTube video uploading than using YouTube Live Events Streaming. Recording feature is also available (upto 4 hours for our account), TrueView in-stream ads are also available. The basic things are exactly the same like normal YouTube video upload page. This Article Has Been Shared 6792 Times! 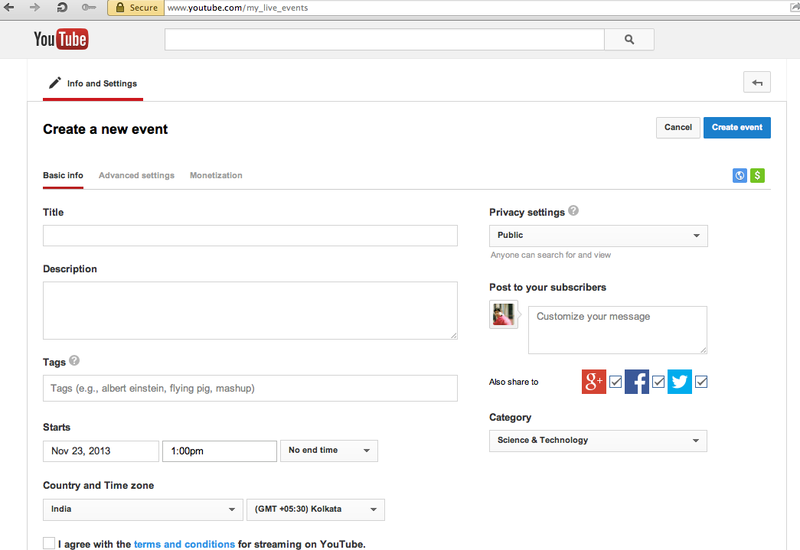 Cite this article as: Abhishek Ghosh, "YouTube Live Events : Streaming That Works," in The Customize Windows, November 23, 2013, April 26, 2019, https://thecustomizewindows.com/2013/11/youtube-live-events-streaming-that-works/.